Warmer temperatures magnify the effects of drought and in cooler months, many forget drought can still plague trees. 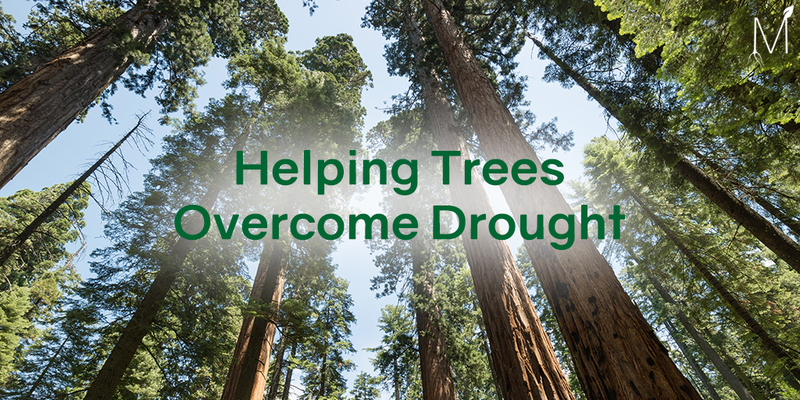 Before discussing ways to help trees overcome drought, it’s important to note a few reasons why helping them is so important. Wildfires are always a concern when an area has gone an extended period of time without rainfall, but flooding is often overlooked as an natural disaster associated with drought. It may seem strange to reference flooding in an article written about drought, however after long periods drought, once the rains to do come, flooding is more likely. Prolong periods of dryness harden the soil, and dry, compact soil cannot soak up the water necessary when flash flooding is possible. Tree roots provide physical stabilization to the area around them, they help reduce erosion and mudslides. When fire removes vegetation from forests, it is also removing trees that would aid in slowing down or absorbing flood waters. The last thing you want to do during a drought is burn your roots. 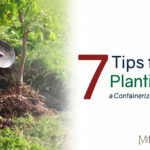 Consider reducing the NPK value of the fertilizer you are using or scaling back on fertilizing. Water your tree at the drip line. Water usage is sometimes limited during a drought, ensure the water you’re using is applied in the right area. Watering at the drip line of your tree helps make sure the water is reaching the root’s tips. Remember to water during the morning in the colder months and the evening during warmer months. Use a root stimulant before a drought. The importance of a tree’s root system cannot be stressed enough. 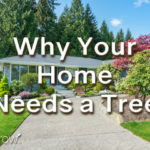 One of the ways your tree can overcome a drought is by having a well-developed root system. MitoGrow products are easy to add to your existing dry or liquid fertilizer and can increase your plants and trees root mass by up to 30 percent. Use mulch to lock in moisture. Look for signs of stress in your leaves and branches. 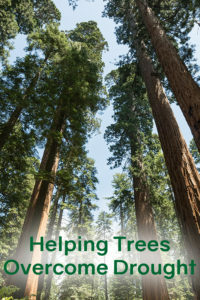 This is often overlooked, but an important step in being proactive in protecting your tree. 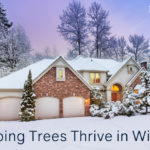 Dead branches won’t necessarily cause your tree to die instantaneously, but can invite other problems that will effect your trees overall health. If you’ve noticed some of your branches are dead, it’s time to trim your tree. 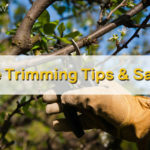 Click here to see some tree trimming and safety tips. Remember to consult an arborist or tree care specialist if you are uncertain on how to best trim your tree. Trees are an important element to homes and communities, make sure you’re doing your part and helping them overcome drought!